Catalonia’s colourful capital Barcelona is a regular feature on Mediterranean cruise itineraries, offering visitors beautiful weather, spectacular architecture and vibrant local cultural experiences. A single day in Barcelona is simply not enough to truly appreciate all that this great city has to offer, it is fortunate therefore that the port is often an embarkation or disembarkation point for Mediterranean cruises, offering travellers the chance to spend a little more time here either before or after their voyage. However, is time if of the essence, here are some of the key sights to squeeze into one day in Barcelona. 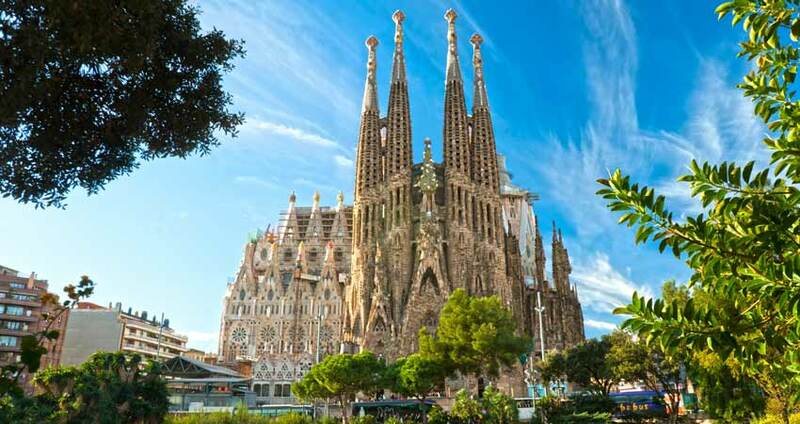 A day in Barcelona wouldn’t be complete without visit La Sagrada Familia – Gaudi’s spectacular unfinished cathedral. This breathtaking UNESCO World Heritage Site is the centrepiece of Barcelona’s historic old town, attracting droves of tourists who arrive to marvel at its soaring towers and intricate design. 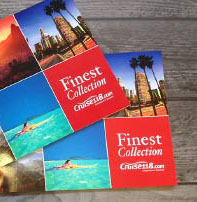 Stay in the Ciutat Vella – or old town – and take a tour of some of Barcelona’s historic landmarks and cultural districts, including the ancient Barri Gotic and the bustling La Rambla market street, where you will find a plethora of authentic local gifts and souvenirs to take home for family, friends or even as a memento for yourself. Barcelona is renowned for its beautiful beaches – a fact that has not gone unnoticed by National Geographic, who named the Catalonian capital as the best beach city in the world. Therefore, if you’ve experienced the local history and culture to the full, or if you just love to relax in the sun, then a trip to the beach is an essential part of a visit to Barcelona. The city boasts a number of excellent, tourist-friendly beaches, so whether you’re hoping to swim in the ocean, unwind on the sand or simply top up your tan, you’ll find plenty for chance for shoreside activities along the coast of this vibrant city. Regular visitors to Barcelona may eventually want to head outside of the city to some of the region’s nearby landmarks and attractions to experience the beauty of Catalonia’s outlying areas for themselves. Just 30 miles from Barcelona sits Montserrat – an ancient monastery nestled high up in the mountains. Here not only will you have chance to appreciate the region’s rich culture and religious heritage, but also admire spectacular views across the dramatic Catalonian landscape. Other notable locations within touching distance of Barcelona include the towns and smalls cities of Figueres, Sitges and Girona as well as the breathtaking Pyrenees mountain range. Barcelona’s bustling crowds and heavily populated city centre unsurprisingly attracts a lot of pickpockets, so make sure to be careful with your personal possessions at all time. Don’t leave cash and wallets in easily reachable pockets, zip up your expensive belonging and be alert in crowded areas such as subways and on public transport. Scams are also common in Barcelona, so don’t be a sucker! If you are approached by a seemingly friendly local, keep a hand on your wallets and phone and don’t become a victim of a crime that you could have easily prevented.